It’s imperative to have fun during your wedding planning process. Things can get stressful, decisions must be made, but it’s not good to neglect your mental health or put a pause on fun. Our suggestion: plan enjoyable activities with your bridesmaids and friends. 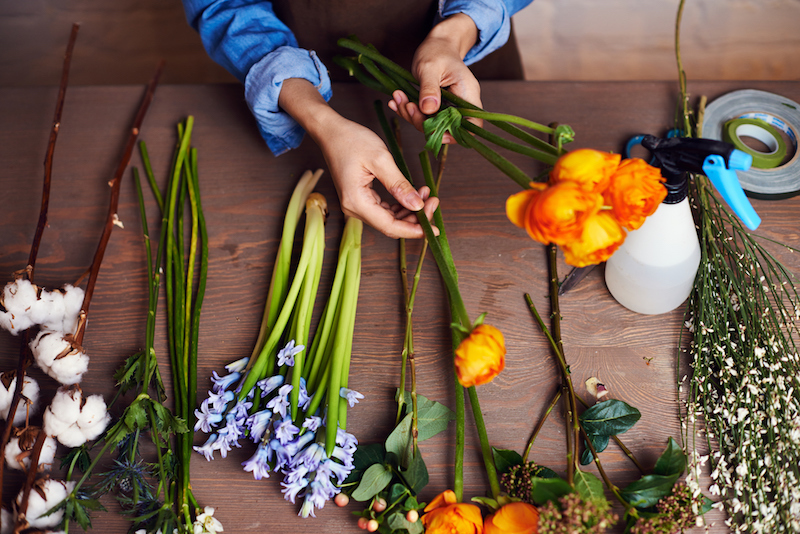 This month, local floral design company Pistil & Stamen partnered with the Catahoula Hotel to host floral arrangement workshops. On Oct. 16, the pair will host a fall centerpiece workshop with instruction on basic floral design and the creation of an autumn-inspired arrangement you can take home with you. Tickets are $125 and include flowers, supplies, vase and one cocktail from the Catahoula Hotel bar. These workshops are great for large groups and really bring out everyone’s creative abilities while having fun and sipping on an amazing cocktail.